Our service department has two factory certified mercruiser technicians, Mike cronquist and Terry Kremer. We use the latest computer diagnostic system and procedures to solve even the most frustrating of problems. We are a Raymarine Warranty, Repair, and certified installer facility. We can design and install new system for your boat, add on to your current system, or solve any issue you may have. Don't take a chance on internet sales and no service after the sale. Deal with Terry Kremer, a professional who can give you knowledge of the product, a fair price, and service after the sale. 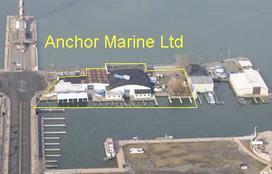 We are located in Erie, PA on the water, in Presque Isle Bay. We have seasonal docks available for rent on a first come first serve basis. They fill up fast as our previous customers from last year have first rights to return. Usually by April 15th we are committed for the season, but drop us a line to make sure. Our shop has really excelled in the custom works department. We have installed everything from bow thrusters, retractable stern thrusters, to fully winch operated dinghy davit systems. We enjoy doing what others say can’t be done. That’s where our motto came from. 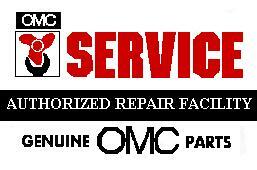 Our fiberglass repair shop has also enjoyed tremendous success, which can be seen on our service page. Terry Kremer is a A.B.B.R.A (American Boat Builder and Repairers Association) certified fiberglass repair technician and certified PPG paint application technician. We use todays latest techniques and best materials. We can repair even the most complex of composite systems. We offer lifting and launching with our 7-ton travel lift, which can handle 12' beam and our 40-ton elevator system, which can handle 55’ LOA and 16’ beam. . This leads to our inside and outside winter storage. 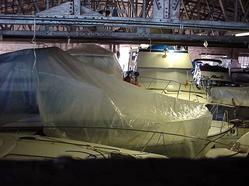 We normally keep about 80 boats inside during the winter. This also allows for major and minor maintenance/upgrades during the off-season, which allows for better use of the boat during the short summer months. We would like to offer our services to you so that you may enjoy your time on the water with friends and family. Isn’t that why you got a boat in the first place? 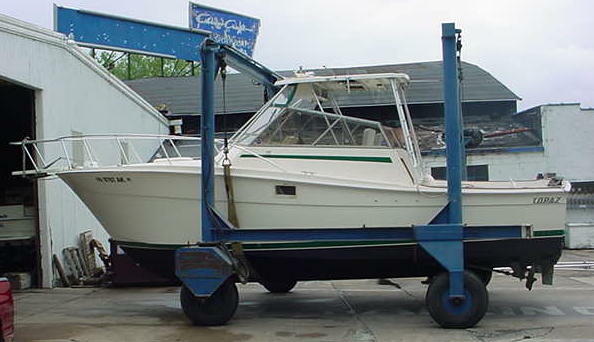 ​Anchor Marine Ltd is a complete service, repair, and shopping facility for all your boating needs. If there is anything that you need for your boat we are your one stop source.